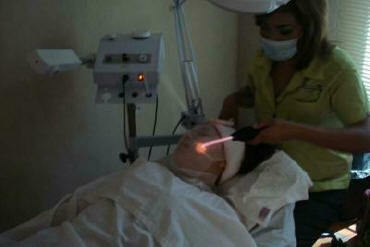 "Our Day Spa will add years to your life, and life to your years! " 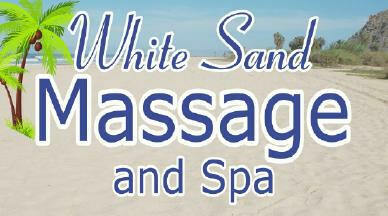 White Sand Massage and Day Spa is located in downtown Todos Santos on the main stoplight street in town. We offer the best massage and day spa services and the best possible prices. Our services include facials, massage (hot stone, deep tissue, and relaxation), manicure, pedicure, nails, waxing, electrolysis, permanent makeup, and mole, wart, and skin tag removal. Massage experts at White Sand Massage and Day spa offer deep tissue, hot stone, and gentle relaxation massage. Our 35-step signature facial incorporates sterilized steam vapor and high frequency laser to leave your skin with a smoother, younger, more youthful appearance! The best manicures and pedicures in Todos Santos. Here's a couple girls showing off their new look!